Many organisations tell us that despite investing in systems, process and training, they struggle to improve their health and safety performance. Often, we find it simply comes down to the willingness of employees to support the organisation’s health and safety performance. We were pleased to learn that that two of our education customers have been awarded ‘Outstanding’ by Ofsted. Swindon College joined the SHE Software customer list in 2012. The 10,000 learner college has made fantastic progress from ‘inadequate’ in 2007 to ‘satisfactory’ in 2009 and was awarded the ‘outstanding’ Ofsted grade in 2013. It is a similar story at Weston College who began using the Assure safety management system from SHE Software in 2013. They were awarded the ‘outstanding’ Ofsted grade in 2013 making them the first General FE College in the West of England to achieve the result under the new Common Framework Inspection (CIF). These colleges have exceeded the Government guidance on the legal duties and powers for local authorities, school leaders, school staff and governing bodies and are rightly enjoying all the positives this brings. However, what are the consequences for schools at the other end of the scale who are struggling with this guidance? Last week the private Hamilton School in Aberdeen was closed by inspectors amid safety concerns that pupils and staff were not safe. Upon appointment, the provisional liquidators made 78 of the schools 84 staff redundant with immediate effect. The school, which provided nursery and primary school education, had 105 primary pupils and 225 children at its nursery. The Care Inspectorate and Education Scotland issued a joint statement on Saturday outlining “serious concerns about health, safety and welfare at the Hamilton School Nursery, and the closure of the school, we have acted urgently to safeguard children”. Six staff have been retained to assist with the collation and transfer of pupil information to new schools. No matter the size of your school or how you are managing the health & safety of your pupils and staff, a solution from SHE Software can assist in making improvements and, more importantly, continually keeping you compliant. This will maintain your safe operation and help avoid the negative press and consequences endangering the safety of staff and pupils ultimately leads to. 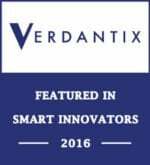 Compare our safety management system to the alternatives to learn more of the benefits. Request your demo now to get a first hand look at our Health and Safety software. 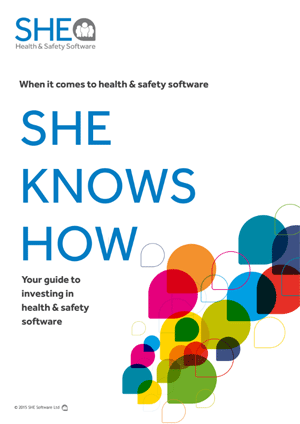 Get your free guide to investing in Health and Safety software now! Our free and impartial guide will help you through the buying process. Join SHE Software for some design thinking over breakfast at The Health & Safety Event! Prism House, 2 Rankine Avenue, East Kilbride, G75 0QF, United Kingdom.